I’ve blogged before about the immigration issue and its potential impact on the U.S. economy and society. 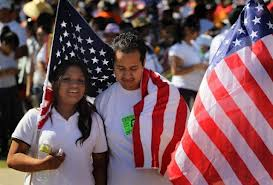 Now the Pew Research Center has released a report that predicts the U.S. becoming a “no ethnic majority” nation within the next 35 years. When one considers that the United States population was nearly 85% white Anglo in 1965 … and that percentage has dropped to about 62% now, it isn’t that hard to imagine Pew’s prediction coming true. If these projections turn out to be accurate, the Asian population percentage is on tap to become the nation’s third highest group. By contrast, the Hispanic population, while continuing to grow, looks as if it will level off at about 22% of the country’s population by 2045. For Black Americans, Pew projects the same dynamics at work, but at the 13% level. According to Pew’s analysis, the biggest driving force for the projected Asian population growth is immigration. By 2055, Pew expects that Asians will supplant Latinos as the largest single source of immigrants — and by 2065 the difference is expected to be substantial (38% Asian vs. 31% Latino immigrants). Conducted in parallel with Pew’s projection analysis was an online opinion research survey of American adults (18 and over) it conducted in March and April of this year. Additional findings from the Pew survey as well as its demographic projections can be found here. ← The “100% ad viewability” gambit: Gimmick or game-changer? 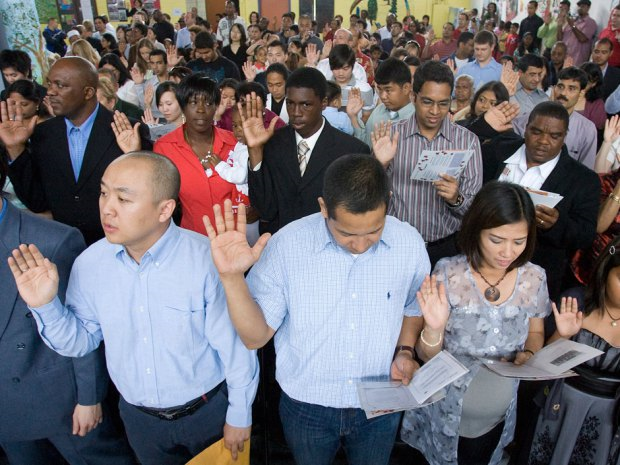 Most people are surprised when they hear about the growth in Asian immigration. We associate “Asian” with China, Japan, Korea, Taiwan and a few others. They would never think of Yemen, Afghanistan, Russia, Pakistan, Syria or Saudi Arabia. When you add those in, it makes sense.